Made from the highest quality materials for increased durability. 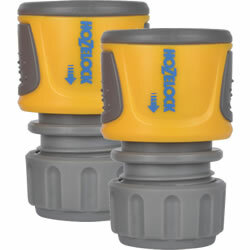 This Hozelock Soft Touch Hose End Connector makes attaching your hose to the tap simple and easy. Made from robust materials, the hose connector has soft grip touch pads on the side which allow for easy on/off - even when wet. 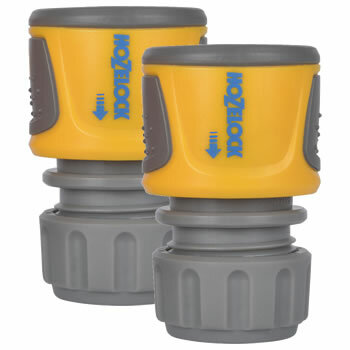 Designed to fit most male tap end connectors, the Hozelock Soft Touch Hose End Connector simply clicks into place, ready to be used in seconds.